The film adaptation of Paddington has become, world-wide, one of the biggest box office successes of all time for a “family film”. Now come the word (thanks to Cartoon Brew again) that Studio Canal (the French film creators who brought Paddington to CGI life) are fast-tracking a sequel to the 2014 film — once again to be produced by David Heyman from the UK. In the meantime, the studio is busy distributing another oh-so-English property: Aardman Animation’s Shaun the Sheep Movie, which premiered in Britain last week. No word yet on a release date for Paddington 2, but you can bet it will be sooner rather than later. Head out to the movies lately and you’re likely to see the teaser trailer for the new live-action film Paddington — featuring a world-famous little bear in a blue overcoat and a floppy brown hat. 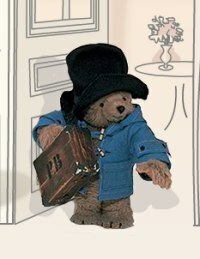 For those not familiar with the star of Michael Bond’s beloved series of children’s books (started in 1958), Paddington is a small, human-speaking bear who travels from the wilds of Peru to England — where he hooks up with a nurturing human family, who name him after the train station where they found him. 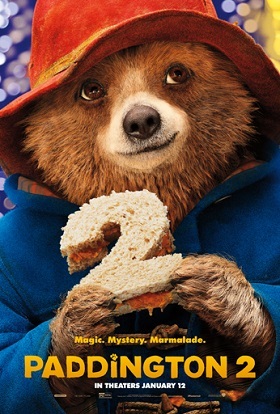 Paddington has appeared in TV series before (both animated and puppetry), but this is his first feature film. It’s produced by David Heyman (who produced all eight Harry Potter films), and written and directed by Paul King, best known for Britain’s The Mighty Boosh (which, you may recall, had its own fair share of furry content). The movie adaptation stars the Colin Firth as the voice of the CGI little ursine star. Check out the article at Yahoo Movies to find out more — and see the trailer. The film comes to theaters in North America this December. Paddington Bear, the ursine star of numerous children's books, is set to make the transition to the big screen. 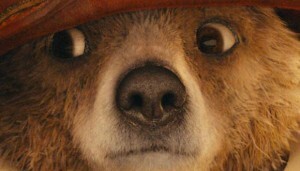 A film of Paddington has been on the drawing board since 2007. Originally, Warner Bros. was to be involved, but, on May 10, it was European production company StudioCanal who announced that they were teaming with Harry Potter producer David Heyman and director Paul King to make the movie. 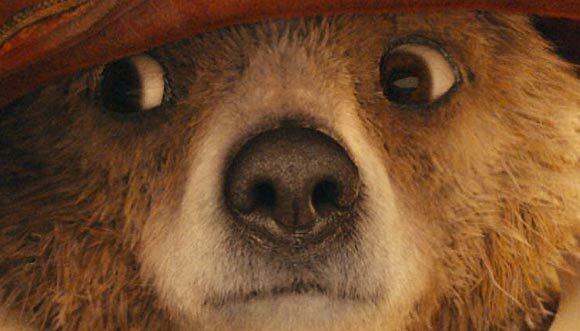 Like The Smurfs, Yogi Bear, and Garfield, the Paddington film will incorporate live-action footage and CGI. Paddington was created by British author Michael Bond in 1958. The marmalade-eating, dufflecoat-wearing bear was found at Paddington station by the Browns, who took him into their family. Bond's stories chronicled Paddington's subsequent misadventures, and were adapted into a television series by the BBC in 1975.